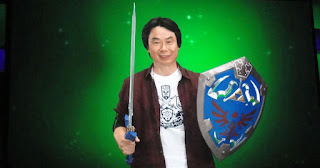 On this episode of retro gaming podcast Passion for Pixels, Stian and Danny talk about the godfather of gaming Shigeru Miyamoto and his indelible impact on the industry. Did you know that Nintendo's programmers meant Miyamoto's ideas for the original Donkey Kong were impossible to recreate with the hardware they had available? We talk about this and much more regarding Shigeru Miyamoto's early career. Also, we cover video game journalists and spitball on the conspiracy theory that they're all corporate shills. Stian claims that the term journalist does not describe the job most people who write about videogames do - they are merely reviewers and not the watch dogs of the gaming community.